The 27th Annual Meeting was held in the Congress Center for six days and included a pre-conference program – Gait courses, seminars, and for the first time the all-day Celebral Palsy Symposium (ie Symposium on Child Cerebral Palsy). The meeting itself hosted invited speakers not only from Europe but even from Australia, covering a wide range of topics in science, medical technology and clinical care. Visitors were dominated by participants from the UK, followed by our neighbours from Germany. A great interest was also generated by the conference in the Czech environment, and the Czech Republic ranked third in attendance. The rich accompanying program offered sports and cultural activities. A charity run in support of Jedlička Institute in Prague was also a nice opportunity to help out and get some excercise at the same time. 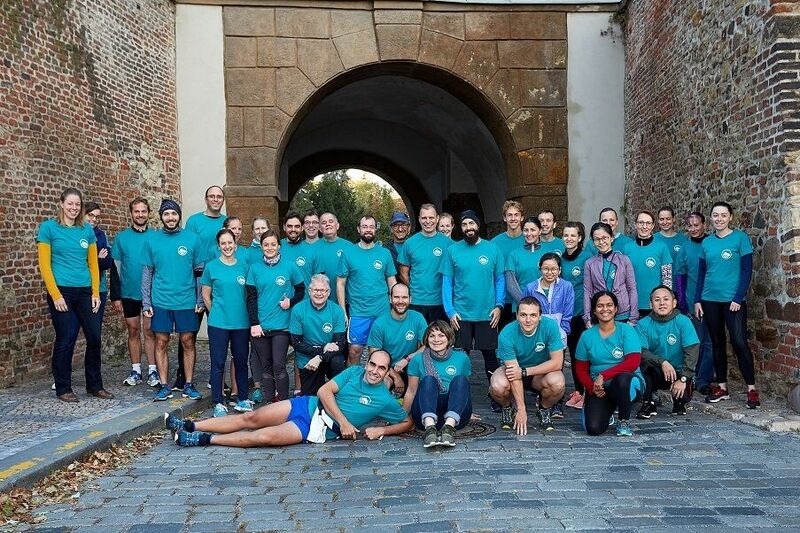 A wave of 50 runners in green T-Shirts for the charity run travelled 2.5 km around Vysehrad grounds. The amount raised was 1200 Euro and was handed over personally to the Director of Jedlička Institute, Mgr. Petr Hrubý. The social peak of the event – gala dinner, took place in the Renaissance National House in Vinohrady. The opening was accompanied by cimbalom music, which LOC Mudr Karel Urbášek and the representative of the Scientific Chair Martin Švehlík sang along to. Dinner was enriched with Dowis Light Art’s artistic performance – a light show that brought guests to destinations where previous ESMAC conferences took place. Dancing continued until the morning hours, bringing back the intention of the whole event- movement. During the closing day, participants were able to take part in a commented tour of Prague and learn about the history and architecture of this year’s conference destination. Finally, we will add that the annual ESMAC meeting will take place in Amsterdam next year, and C-IN will again be the main organizer.